Once Upon A Sketch | Once upon a sketch was founded to give insight, education and news about the many facets of the Children’s Illustration Market » Guest Post-Will Terry-Can Pinterest Help Your Art Get Better? 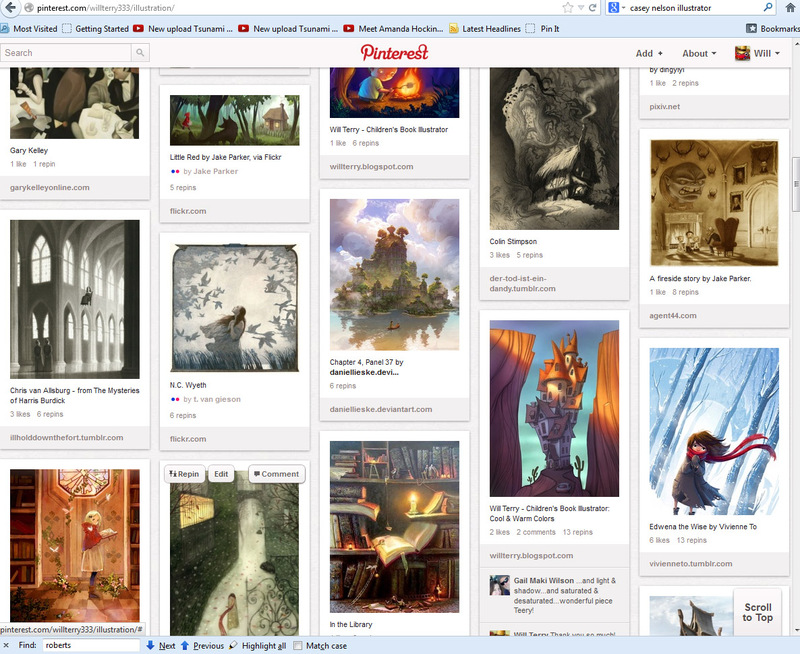 Guest Post-Will Terry-Can Pinterest Help Your Art Get Better? Well obviously I must think so or this would be a really short post right? First let me just say that I’m like a lot of you – “NOT ANOTHER SOCIAL MEDIA SITE!! !” I know I know – but trust me – Pinterest is worth it…and you can get in and out quickly! For starters lets deal with that title – what if I told you that there is a way to see how your art stacks up against your competition? What if you could be that fly on the wall in the office of an editor, art director, agent, or fellow artist? What if you could know what people really think of your work? 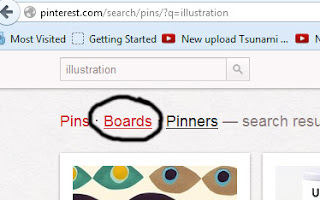 I’ll show you a very simple way to use Pinterest to do just this. 1. Make your own Pinterest account BUT do it by logging in from Facebook or choose the setting so that every time you make a “PIN” it updates facebook – reason? – so people see your pins, visit your board, and re’pin your pins. 2. In the “search” bar at the top of the Pinterest page after you’re logged in – type in something like “illustration” or “Children’s illustration” or “characters” and hit enter. 4. Click on a piece of art that interests you – you might want to scroll a little – pick a goody! Ok – now pick five images to “re-pin” AND – pin them to your illustration board. (I figured all this stuff out so if I can do it a snail can do it – sorry snails …make sure you REALLY like the images you’re re-pinning. These need to be images that you really admire and perhaps wish you’d created so be picky! Also – if you don’t pin really good stuff people will ignore your board and that will kill this whole experiment. 6. Here’s a look at my illustration board on Pinterest. If you zoom in you can see how many times each image was “re-pinned” – and here in lies the magic! You get to see how many votes or “pins” each image gets including your own. In a way people are casting their votes in an impartial way – self serving! They see something they like and they re-pin it for themselves. This is more valuable than a critique from friends in some ways because it’s a rather large sample size and it’s honest. The people pinning don’t really know or care that you’re looking at the data this way -they’re just grabbing images for future consumption on their own boards. 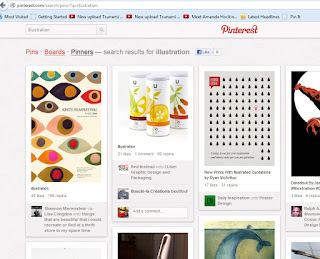 So how can Pinterest help you improve your art? You can learn a lot by seeing what people like and don’t like. If you’re work isn’t getting re-pinned as much as the other work you pin you have some work to do – but not in the blind – because you can see exactly what images people respond to the most. You might want to make a list of the things the popular images have in common – then compare to your work. However, this could also be a little dangerous if you follow it too closely and copy what is getting votes – you could become a follower- you still have to innovate but in order to create great art you have to consume great art! Pinterest is in my opinion a very valuable tool for inspiration, strategy, and marketing – I’m starting to get emails and messages from customers who are finding me on Pinterest – and I hear it’s the fastest growing website! so get pinning! Pinterest is fun and great for folks who are primarily visual. I use it as a filing system of sorts to keep track of illustrations/children’s books I like. I have art from my picture book by Charles Eubanks sprinkled through. Thanks for the tips. I think Pinterest is great for the non-artist, too. It is a nice visual system for filing away information you want to come back to. Ok so I created an account but I just can’t figure out how to pin it. Will keep trying though. Any more hints would be greatly appreciated. I do like it though, great idea.